Canalpost UK virtual mailbox & addresses with forwarding & mail scanning for canal boaters. Over 30,000 live-aboard narrowboats, barges, cruisers and houseboats populate our rivers and canals. It doesn't matter whether you live on a working 40 foot ex-colliery narrowboat, or have finally retired to your shiney gin palace; constantly cruising or on a permanent mooring. Once you spend any time at all on the water you'll learn that life can be a pain without a postal address for your bank, credit card issuer, insurance company, the passport office, the DVLA, HMRC or DWP. Even on-line retailers like Amazon won't deliver to a numbered PO box or a third party location, such as the marina office. is a virtual mailbox account from expost . . .
. . .with a real uk street address, five user names on each account, free mail forwarding or scan to email. A simple choice of Private or Business accounts means that, whether you need a postal address for your own personal and family correspondence ( including parcels and on-line shopping ) or for commercial use, canalpost have the answer! A canalpost mailbox account will give you a real UK street address, with up to five different named users, free mail forwarding and a scan option for urgent letters. As well as having a fixed postal address for your own private correspondence, you can now trade on-line from your boat, with a genuine returns address for your products! 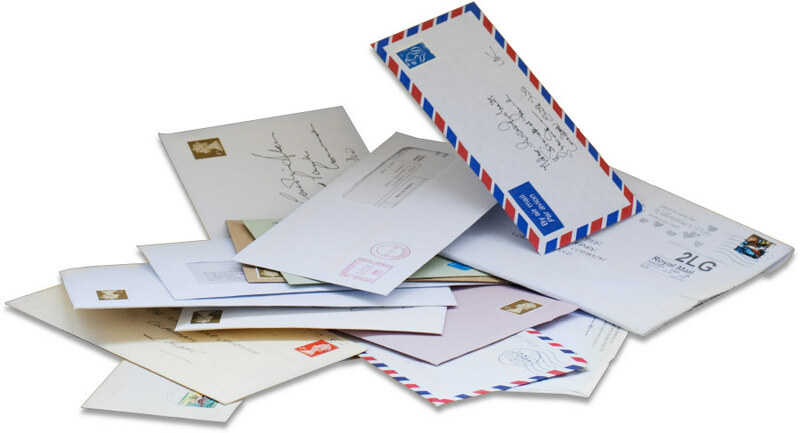 Because many businesses, banks, credit card and insurance companies, couriers and authorities; including HMRC and the DVLA, will not deliver to, or even recognise, an obviously numbered PO box, every canalpost mailbox has a genuine postal address that it inherits from the Mail Centre of your choice. We currently have six regional Mail Centres around the UK. Because all mail is either scanned, or forwarded by Royal Mail or Courier ( see 'forwarding' below ), rather than being collected in person, you can hold an address at any regional Centre and your letters or parcels will still reach you at the speed of light or First Class post! Don't worry about making the wrong choice initially, you can transfer your account to another regional Mail Centre, free of charge, at any time during your Account term ( limited to once every twelve months ). We realise that many people prefer an address that either reflects their place of origin ( even though they are now on the cut and constantly cruising! ), and some business mailbox account holders may want to present a 'local' face. Our national network of regional Mail Centres has been designed to provide just such coverage, further detailed in the descriptions below. Our longest established regional Mail Centre is located in central Swansea, perfectly situated to provide a generic South Wales address for customers from Cardiff, Newport, Bridgend, Llanelli, Pembrokeshire or Carmarthen. The expost regional Mail Centre for Scotland is located in Dunfermline, Fife. . . just north of Edinburgh, and is also popular with customers from Glasgow, Dundee, Aberdeen and Inverness looking for a PO Box with an accommodation address North of the border. Located in Cambridgeshire, this Centre provides a prestigious accommodation address close to London, serving customers across the whole of the home counties; including Bedford, Luton and Watford, Northampton, East Anglia and Essex. Our Midlands regional Mail Centre is located in Telford, providing Midlands accommodation addresses to customers from Stoke in the north, Nottingham and Derby to the east, and south across the West Midlands including Birmingham, Wolverhampton, Walsall, Dudley and Worcester. With a central Taunton address, our South West regional Mail Centre provides a west country presence for customers wanting for a PO Box close to Bristol and Gloucester. Serving Swindon, Bath and Bournemouth, plus Plymouth, Exeter and Torquay in Devon. business or private. . .
which do I need and how do they differ? Although both Business and Private mailboxes can receive letters and parcels for up to five named Users and are the same price, the new data protection legislation ( GDPR ), means that we need to record the status of each mailbox so, if your account is only to be used for your own personal correspondence, select Private. Click on Business if you intend to use your accommodation address for any kind of commerce or trading, or if you want to include a business name as a User. You can still use it for your personal mail of course and, as a bonus, if you take a 12 month Business account you can also use it as the registered office address for one or more Companies, at no extra charge! In order to simplify the legally required identity verification process, every mailbox account, whether private or business, must be registered with a named individual as the Account Holder. On agreeing to be bound by our Terms and Conditions, the Account Holder is then responsible for the legal, moral and ethical use of the mailbox and compliance with current legislation. You now have a fixed, UK street address for official, financial and personal correspondence, and all of your on-line shopping. Your letters and parcels are being signed for on your behalf and stored securely in our Mail Centre, ready to be forwarded. But the questions still remains, how do we get them to you? don't worry, we have that covered too! Did you know that you can have your mail delivered to a Post Office of your choice, for collection in person? And, best of all, the service is completely free. Discover more about Poste Restante in our forwarding page. Already cheaper than a numbered PO box from the royal mail, our straightforward charges are frozen for as long as you hold a continuous account with us. Two years, twelve years or twenty years from now, you will only pay the prices as they are shown in this website on the day you register. We absolutely guarantee never to charge you more to renew your account, handle your mail or scan your letters! Our Mail Centres are open 24 hours a day, 364 days a year to receive, sign-for and secure your letter post or parcels. Most importantly, live support is available by telephone and email from 8am (UK time) every weekday morning, including Saturdays and Bank Holidays, ( in practice, there is usually a member of the management team here from 5am ) so you always have access to our help and advice when you need it, and a team of people ready to update your account for you when you are without an internet connection! canalpost, vanpost, expatpost and expost are all trading styles of Expost Holdings Limited, registered in the UK.